A westside view of the $500 million, mixed-use Fenway Center development. 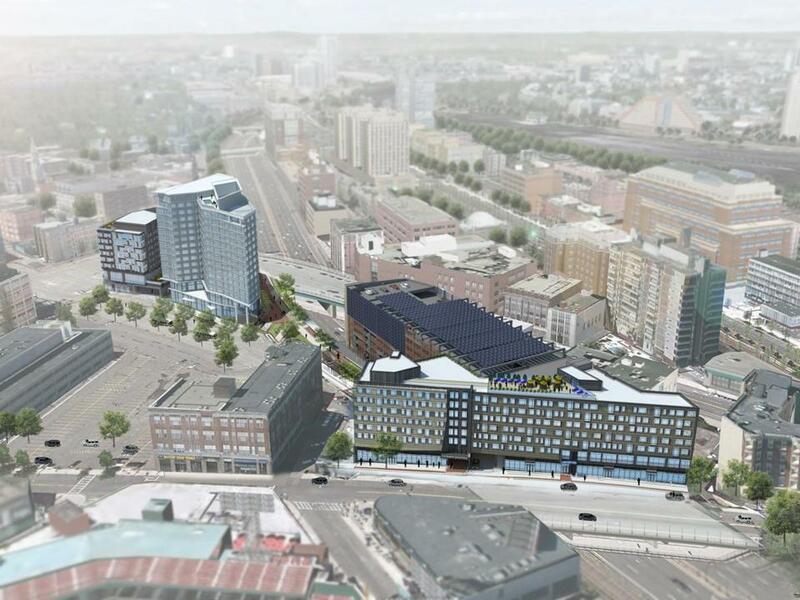 After years of planning and negotiating, the giant Fenway Center development project finally won its last required approval Wednesday. State Department of Transportation directors approved a lease covering 4.5 acres of land and air rights over the Massachusetts Turnpike, a key agreement for the development. The transportation board had unexpectedly tabled the matter of the lease before a vote last month. After a brief discussion Wednesday, directors signed off on the $227 million, 99-year lease that developer John Rosenthal needs to build his $500 million mixed-use property on Brookline Avenue and Beacon Street by Fenway Park. The development would turn what are currently parking lots into a multibuilding complex with retail, office, and residential space. 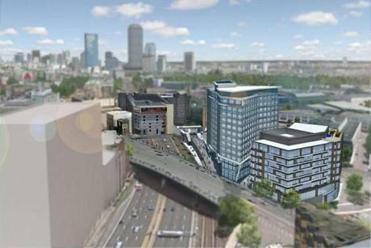 A view of the east side of Fenway Center, minus the 27- story tower that would be part of Phase 2. The first building phase is expected to start in early 2014, though Rosenthal said he hoped to start utility work before the end of this year. “The permitting process to get to this point has been so difficult, I’m tremendously excited to start to build,” Rosenthal said. The state transportation board delayed its expected May vote on the lease after two directors requested additional time to gather more information about the terms and the project’s engineering report. The Transportation Department’s volunteer board must vote to approve all contracts over $15 million, a measure created in 2009 in part to regain public trust after the Big Dig. State officials had worked with developers for months to negotiate a deal and a board finance subcommittee reviewed an outside analysis of the deal before endorsing it. But board member Janice Loux called for another outside review at the May meeting. Board member Andrew Whittle also favored tabling the vote, so he could have time to review an engineering report. The next day, however, Loux said she was ready to approve the agreement, after clearing up a miscommunication over some unread documents. “It was really a matter of just having some of the paperwork,” she said at the time. Gail Waterhouse can be reached at gail.waterhouse@globe.com. Follow her on Twitter at gailwaterhouse.